The Coalition to Stop Violence Against Native Women’s Board of Directors is a volunteer group comprised of tribal community leaders, professionals and advocates with a deep passion for philanthropy and commitment to the people and communities of New Mexico. Their unique and diverse professional and personal experiences, visions, and passions provide inspired leadership across fundamental issues that impact the fields of tribal domestic violence and sexual assault. The Board serves as the guiding direction for CSVANW. Read on to learn about each Board member, their professional and personal expertise and passions. Each Board member serves three-year terms. 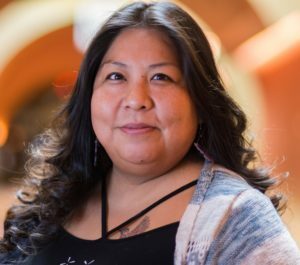 Ms. Tsoodle-Marcus currently serves as the Executive Director of the Eight Northern Indian Pueblos Council’s PeaceKeepers program. She is from the Taos Pueblo (fluent) and Kiowa tribe (fluent) and actively participates in cultural and religious functions in both tribes. For over 40 years, Ms. Tsoodle-Marcus has dedicated her career to the criminal justice field, including but not limited to, tribal Chief judge, police, courts and corrections. From 1972-1982, Judge Tsoodle-Marcus was an Indian Justice Specialist for the NM Criminal Justice Department. She was responsible for developing the first Police, Court, and Corrections programs under the Law Enforcement Assistance Administration for tribal reservations in New Mexico. As the NM Criminal Justice Department transitioned to the NM Corrections Department, Ms. Tsoodle- Marcus worked for another 15 years under the NM Corrections Department. Her educational degrees are from Monterey Peninsula College, California and New Mexico State University. Judge Tsoodle-Marcus worked for Taos County for five years as a Jail Supervisor/Warden. She served Taos Pueblo as a Tribal administrator for the Governor of Taos Pueblo in 1993. She also worked as a professor at Northern NM College, where she taught Criminal Justice, Criminology, and Criminal Justice/Community Relations. 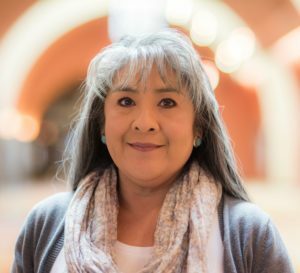 Ms. Tsoodle-Marcus’ long dedicated career has included work for State, County and Tribal Government of Taos Pueblo. 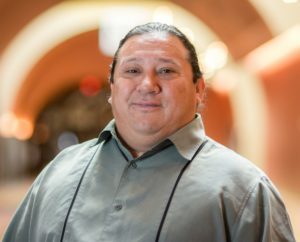 A citizen of the Taos Pueblo Nation located in Northern New Mexico, Daniel has personal knowledge of the violence that permeates many Native communities. In his first job upon his graduation from UC Riverside with a Bachelors in Business, he worked as a native community youth activities coordinator in Los Angeles County, California. This experience provided a view into the types of challenges with violence that are a daily reality for many Native families in urban settings. From this experience and from a desire to give back more to his community, Daniel set out to acquire a Master’s degree in accounting. It has since become his personal goal to lend his fifteen plus years of accounting, analytical and management experience working with private, governmental and not-for-profit entities to CSVANW and other organizations, whose mission it is to end violence in our communities, in either leadership or supportive roles that help to create long-term sustainability. Daniel proudly serves as the CSVANW Board Treasurer. An avid hiker and overall outdoor enthusiast Daniel enjoys spending time traveling to remote locations with his wife Germaine Omish_Lucero and his son Samuel Lucero. One of the most pleasurable activities remains for Daniel, time spent with close family and friends in whatever setting. Daniel may be reached via email at lucero.dr@gmail.com or through Facebook. Coleen Widell is executive director of The Nest, Lincoln County’s shelter for victims of domestic violence. She is also president and co-founder of the American Institute on Domestic Violence. With degrees in psychology from Western Washington University and the University of Washington, she has held professional positions in criminal justice, direct service and public administration. Ms. Widell has served as a Probation Officer in Washington for fifteen years working with criminal offenders and victims of domestic violence. She also conducted investigations of child abuse and neglect for the Department of Social & Health Services. In 1998, Coleen founded the American Institute on Domestic Violence (AIDV), which provides national consulting services for the business community on domestic violence spillover into the workplace. She authored the book “Domestic Violence Targets the Heart of American Business” which outlines workplace training programs she created for AIDV. These programs have been highlighted by the National Crime Prevention Council as a “Best Practice” for employer intervention to address domestic violence as a security threat and workplace issue. Coleen has been at HEAL for ten years. Her primary work involves legislative advocacy, government relations, community mobilization and messaging. In 2010, New Mexico Governor Bill Richardson honored Coleen as one of the state’s Outstanding New Mexico Women for her exceptional contributions to the state as evidenced by her exemplary leadership and advocacy. 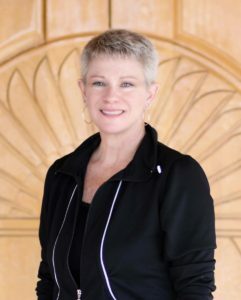 She served as the Board Chair of the New Mexico Coalition Against Domestic Violence from 2009-2011. 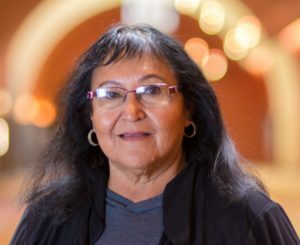 Theresa Ortiz grew up within the Pueblo of Isleta. Growing up, Theresa witnessed domestic violence within her home; it was something that her mother experienced as a young bride and mother of young children. As Theresa learned more about her mother’s experience, she learned that her mother did not have any help, but went through this very heartbreaking experience alone. Theresa centered her own experiences and those of her mother, and through the awareness, she developed a passion for advocacy. Theresa’s mother later shared that there was no help for Native women who were experiencing the violence she went through. Theresa has always felt that in her heart, this was her purpose: to help those who may be vulnerable, may not have a voice, and felt helpless in their situations, specifically for women who have been violated and who have been abused. She feels it is very important that we have every opportunity to teach and empower our women of every generation by acknowledging their value and worth as Native women. Because of her mother, Theresa pursued her education, receiving a BA in Psychology from the University of New Mexico and then a Masters in Social Work from New Mexico State University. She is a Licensed Social Worker and is currently working on attaining her Independent License. She is a mother of three: Joe, a freshman at the Air Force Academy; Melanie, a senior at Cibola High School, and Jeremiah, an 8th grader at Taylor Middle School. She is also a breast cancer survivor and a survivor of sexual assault. Her hope is to bring the awareness and education of domestic violence and sexual assault to the forefront of the communities that she works within so that we may provide those with a voice and support needed to become a survivor. Kena Leigh Chavez is an enrolled member of the Pueblo De Cochiti, NM. She is also from the Hopi Tribe from the Village of Walpi and is of the Coyote Clan.Ms. Chavez is the Tewa Women United V.O.I.C.E.S. Program Manager, a culturally-based response to sexual violence and other trauma related to sexual violence in the diverse communities located in Rio Arriba and northern Santa Fe counties, and the Pueblo and Tribal Nations in New Mexico. Ms. Chavez received her Bachelor of Arts in Political Science from The College of Santa Fe and her Associate of Applied Science in Criminal Justice from Central New Mexico Community College, NM. Previous to TWU Ms. Chavez worked with both her Pueblo; Hopi Tribes. Former Social Services/ICWA Coordinator for Pueblo De Cochiti And former Project Coordinator for The Hopi-Tewa Women’s Coalition to End Abuse. She is an active leader with NM Together For Healthcare, advocating for the Medicaid For All Buy-In Act, along with Strong Families NM. Currently, she has added to her plate part time Case Manager at Haven House. Kena also has experience as a Juvenile Probation Officer and photographer. Kena is a thriving survivor of domestic and sexual violence. She is a mother of seven, two handsome young adults, WahYursh 19 & Angel 21. Five beautiful daughters Skadra 14, CeCeKa 12, Bella 6, Yolotli 23months and LorraineBow 7months. She shares her truths openly with her children, anyone willing to listen in hopes to help.